The question: Are Tusken Raiders a form of animal, mineral, or vegetable? The answer: No one in the Empire gives a womp rat’s tail. Anti-alien discrimination ran rampant within Imperial ranks and society. 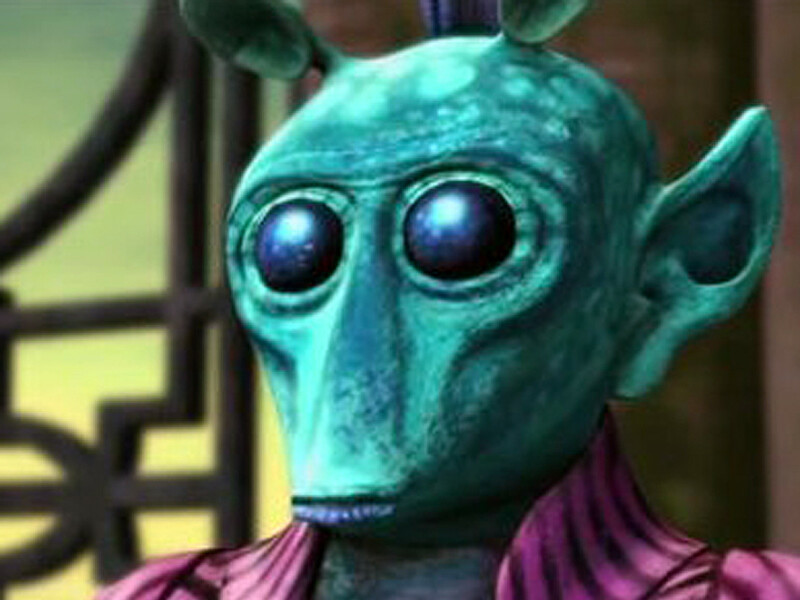 In some instances, such as that of Grand General Malcor Brashin, whose family was murdered by Rodian thugs, this prejudice was understandable, if misguided. But, for the most part, it was humans’ irrational fear of the unknown, coupled with the power-idolizing influence of Palpatine, that spiraled this instinct into an out-of-control xenophobia. Nonetheless, while Imperials were fond of instituting their bigotry into law, one maxim proved the proverbial Thorn of Ryloth in their sides: good help is hard to find. Despite its intolerances, the Galactic Empire was not above bringing in outside assistance when circumstances necessitated. Expertise is a priceless commodity, and when it came to fulfilling their personal agendas and needs, cunning Imperials happily employed all manner of specialist from nonhuman ranks. The Pantoran explosives expert Kosh Kurp was one such exception; meanwhile, Twi’lek dancers and Zeltron cafarel were regularly observed sharing Grand Admiral Takel’s private quarters — and clothing — aboard his Star Destroyer Magic Dragon. From the Imperial perspective, trust was always an issue when dealing with aliens, with their unpredictable ways, incomprehensible cultures and obtuse religions. But the threat of disloyalty was nothing new in a government where merit, and even nepotism, played second swamp-fiddle to egomania. Indicative of this methodology, Imperial tyranny often decimated alien individuals, only to later present them with the very power and means by which to exact their revenge. Given these circumstances, if nothing else, alien recruitment granted Imperials two considerable advantages: deniability and total expendability. 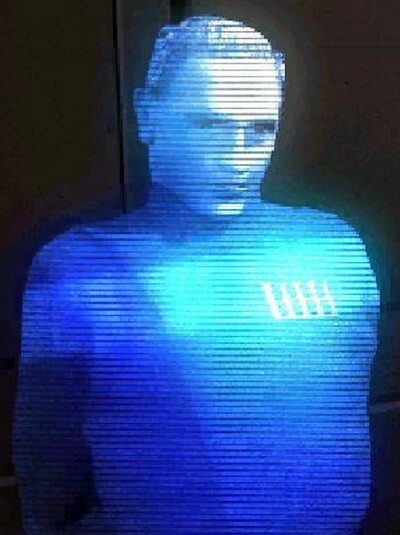 Who, after all, would believe a nonhuman had been entrusted with a task of vital Imperial importance? And who would even care if he, she, or it disappeared? Some aliens exploited in this manner, however, reasoned that two can play at that hologame. The orphaned Tusken Raider KkH’Oar’Rrhr, or Hoar, was just a boy when he snuck into the empty, mysterious hovel in Tatooine’s Dune Sea. The home was reputed to belong to a wizard, and Hoar planned to steal one of his magical devices. Among the technological effects, he discovered a fascinating cylindrical object, and upon clutching the device, he was overcome by a startling vision. 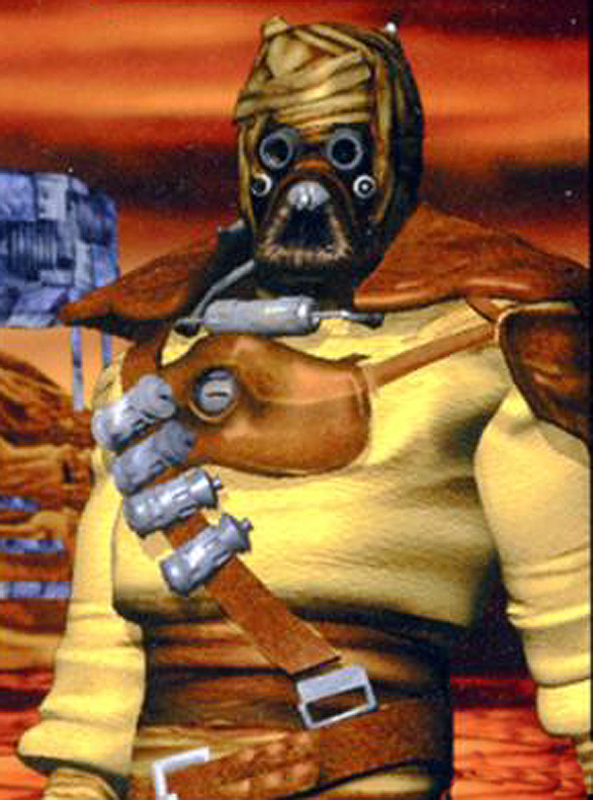 In his mind’s eye, Hoar saw the weapon’s apparent builder — a young male not much older than himself — who covered his naked human face with the most frightening black Tusken mask Hoar had ever seen. The male then ignited his weapon, like a gaderffii pike lit on fire, and motioned to strike Hoar down. He awoke from his vision with a start to find the wizard Ben Kenobi had returned to the hovel. Fearful of being turned into a womprat, Hoar ran back to his friends…leaving the lightsaber as he found it. After recounting how he’d “boldly battled past the wizard” to escape, Hoar listened as his companions Sliven and Bordo explained that the young man in his vision must have been the “Demon Outlander” — the spawn-child of a witch and a monster called the Great Jawenko — who had slain the Tusken Rrhr hunting band, including Hoar’s family, years ago. Only Hoar, who’d been away bonding with his bantha at the time, had escaped the carnage. Not long after his vision, Hoar’s Force-sensitivity was discovered by his tribal leader, A’Sharad Hett. A Tusken-raised human, who’d left to join the Jedi and become one of the Order’s masters, Hett had returned embittered after narrowly escaping Emperor Palpatine’s Order 66. Hett began cultivating Hoar as his successor, teaching him how to speak rudimentary Galactic Standard, and how to channel his aggression in a Force-based martial art called Teräs Käsi. A master duelist, Hett also fashioned a bisected gaffi stick for Hoar, tutoring him to fight with two weapons simultaneously. Hoar proved an apt protégé, and while Hett was clearly the clan chieftain, young Raiders idolized Hoar. Then, during an attempted raid on the Lars Homestead — the very territory from which the Sand People had once captured the Demon Outlander’s witch-mother — the wizard Kenobi confronted Hett and his tribe, defeating the chieftain in a savage duel. Because Hett was unmasked in the fight — a severe Tusken trespass — he was shunned by the Sand People and left Tatooine disgraced. Hoar still revered him, however, so he abandoned Tatooine as well, with many admiring Raiders in tow. But after futilely searching the Outer Rim for his hero, from Portug to Dromund Kaas, Hoar and his nomads found themselves destitute, hungry and discouraged. It was on Dromund Kaas that the Emperor’s minion Maw eventually found them. 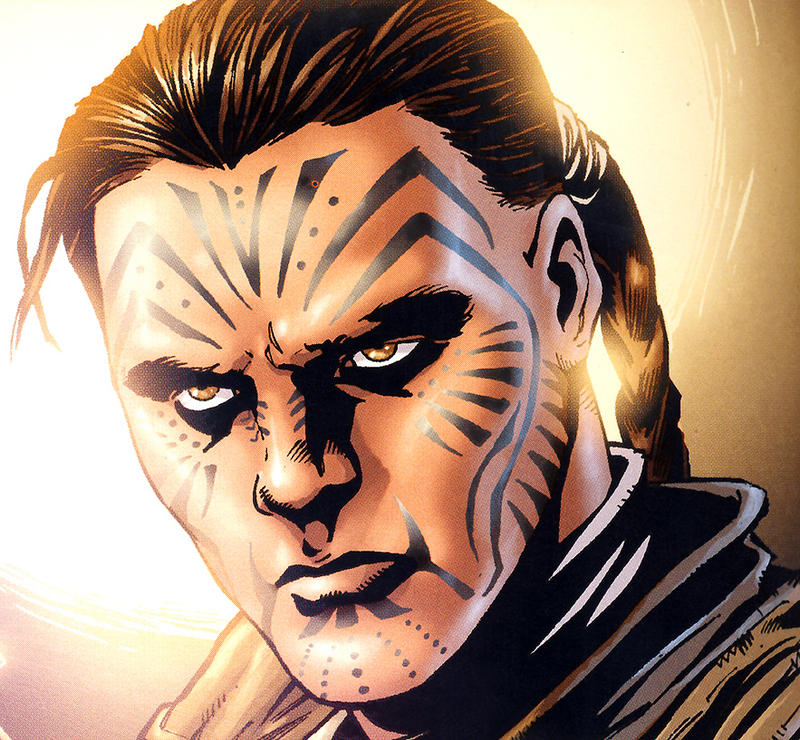 A former Jedi Knight, Maw organized Hoar’s Tuskens into a gang of swoop-riding Raiders. Transporting them to Tython to rob ancient Jedi graves of Force artifacts, Maw dubbed them the Grave Tuskens. For their part, Hoar and his riders defiled their traditional Tusken masks, flaunting their bare faces to honor A’Sharad Hett. However, their thievery soon attracted a far more powerful, cyborg Imperial dark-sider: the Emperor’s Hand, Arden Lyn. 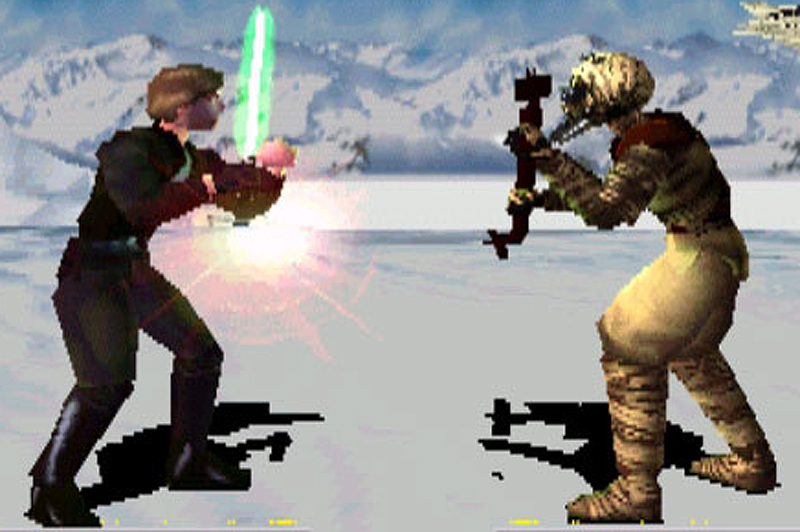 Lyn was an implausibly ancient human said to have actually fought on Tython during the earliest Jedi wars. Interfering in one of Hoar’s grave raids, she entered into combat with the Tusken and cowed him with her own Teräs Käsi martial expertise. If Hoar was surprised by the woman’s proficiency in the fighting method of his former mentor, Lyn was in turn dumbstruck at the presumably primitive nomad’s knowledge of the rare martial art. But she was not displeased. Promising to make Hoar more powerful than he’d ever imagined, she coerced the Tusken into joining her mission to eliminate high-profile members of the Rebel Alliance. Without a second thought, Hoar abandoned the Grave Tuskens to Maw’s whim and allied himself with Lyn. Little did he realize the payoff his decision would yield. 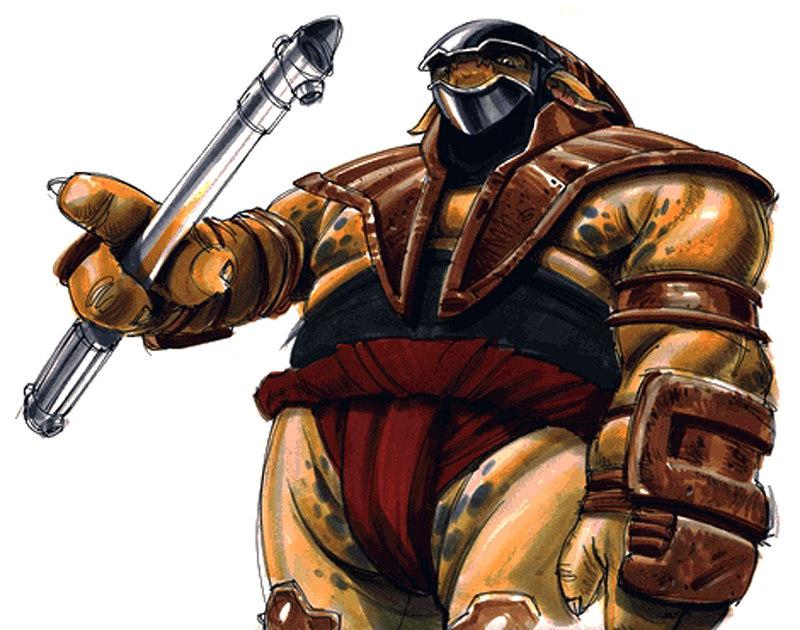 Channeling his Force abilities into mastering Teräs Käsi, and testing his skill against the likes of Lyn’s Gamorrean and Stormtrooper pupils, Hoar became a lethal whirling dervish of fighting capability. Then came an unexpected boon: When exposed to the hologram of a young male Rebel on Lyn’s hit list, Hoar matched the face to that from his chilling childhood vision. The Rebel’s name was Luke Skywalker, and, tauntingly, on his belt he wore the unmistakable energy sword Hoar had come across in the wizard Kenobi’s hut. At last, he felt he’d found the murderer of his family, the Demon Outlander. He took to hunting down Skywalker with unrestrained fervor, but the phantom aura of Kenobi clung to the Rebel, protecting him. Frustrated but determined, Hoar retooled A’Sharad Hett’s gaffi gift using instructions stolen from the Tython tombs, turning each half of his Tusken weapon into a working lightsaber. Hoar’s quest for vengeance reached a crisis point, however, when in his travels with Lyn he at last set eyes on the midnight visage of the Dark Lord of the Sith, Darth Vader — who wore the dreaded, black “Tusken” mask from his vision. Hoar was bewildered. 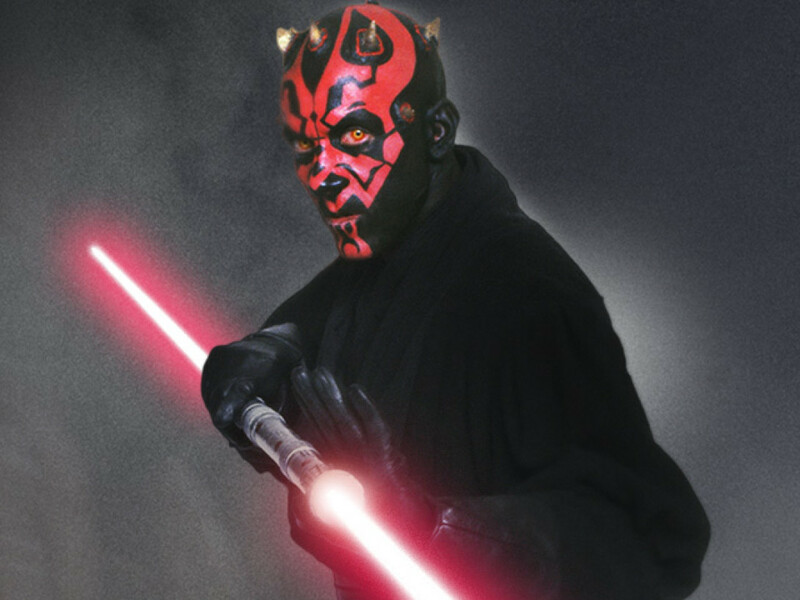 Were there actually two Demon Outlanders, or were Vader and the Rebel Skywalker one and the same murderer? Or was he simply mad, deluded for years by a childish conviction based on hearsay and hallucination? The ultimate conclusion at which Hoar arrived isn’t clear. What is known is that, during a vicious duel with Skywalker, the Tusken Raider laid the Force-user low, with the point of his gaderffii at the young man’s throat. But in that moment, Hoar experienced another vision…and spared the Rebel’s life. Having defied Arden Lyn’s direct order, the Tusken then abandoned his Imperial commander, though not before engaging the Teräs Käsi master one final time in mortal combat. The last that was heard of Hoar, he had resumed his hunt for both his old chieftain A’Sharad Hett and the raven-masked Darth Vader, taking his quest as far as the ravaged Outer Rim planet Shumari — a place much like his old haunt on Tython, littered with the bones, graves and even ghosts of Jedi. There, Hoar felt certain he would at last find Hett, slay the Demon Outlander…or meet his destiny. 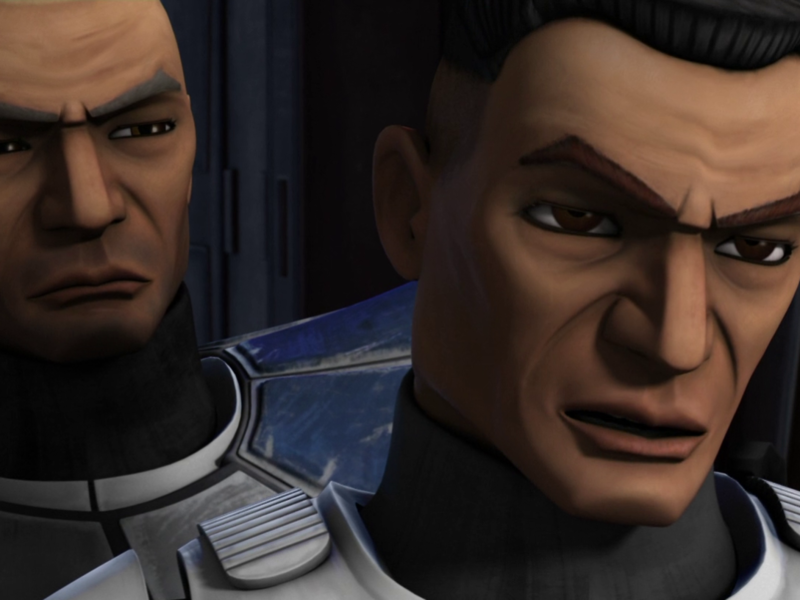 Two of the meanest shoats this side of the Greater Javin, Thok and his brother Gorc were, in many ways, rather typical of their species: They loved to fight, and they hated droids. Gamorreans on war-locked Pzob, however, felt there was something distinctly odd about this pair. 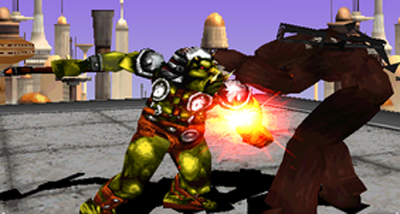 These clan Skunnt brothers acquired a bizarre reddish tint to their lime skins whenever they boiled over with rage, but an even more astonishing display of their “magic power” occurred during an impromptu fisticuffs after Thok finished a particularly heavy brunch and a barrel of Gamorrean hooch. When he literally belched a fireball into his clan-rival Scumbo’s face, flambéing his opponent’s snout, Thok knew there were bigger hogs to fry off Pzob. 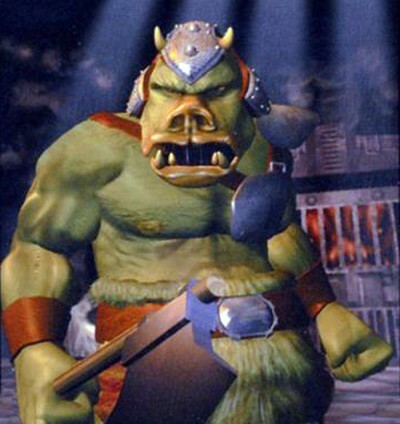 Thok may not have been the brightest Gamorrean, but when it came to brawling, he knew every dirty trick in the book. So he obtained a universal transliterator and took his bigger, even stupider younger brother Gorc with him offworld to make their fortunes. The siblings quickly found work on Zlarbv IV as guinea pigs for Dr. Pineas Pontak’s development of the Pontak Hypergland. The infusion of alien secretions into their bodies had the extraordinary side-effect of making the brothers’ muscles swell dramatically if sufficiently enraged. The experiments were painful, however, and Thok and Gorc eventually moved on to Tatooine. There, they hooked up with Ortugg, a Gamorrean who was recruiting a good dozen sons of sows to proposition the gangster Jabba the Hutt for work. Jabba knew, at once, that Thok and the others were his kind of swine — fearless and dim-witted. Thok had many adventures in the Hutt’s employ. One particularly unforgettable experience involved securing Jabba’s pet rancor. While his co-thug Ortugg wailed “rankur!” on sight of the beast, Thok bolted, recognizing the “spider-crab” monster that had become part of Gamorrean mythology since the Rakata Empire introduced one on Gamorr millennia before. Thok also ratted out Dr. Pontak’s whereabouts when Jabba required the scientist’s presence in order to one-up the Hutt’s business rival Gaar Suppoon in a negotiation. 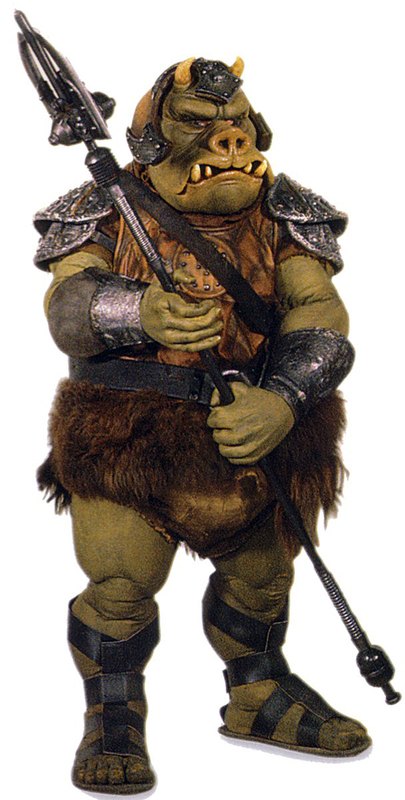 Thok helped kidnap the doctor, and an impressed Jabba made the Gamorrean his personal bodyguard during the negotiations. However, the most memorable incident occurred one wild night in Mos Eisley’s Red Moon Saloon, involving Thok, Gorc, seven barrels of Zelosian wine, a Kloo horn, three bludgeoned-to-death Gungans and five fricasseed Ugnaughts. When the brothers ended up in the custody of Tatooine’s local Imperial dark-sider, the Prophetess, quick-thinking Thok squealed about Gorc’s “magic power” to eruct fire, hoping to save his own hide. 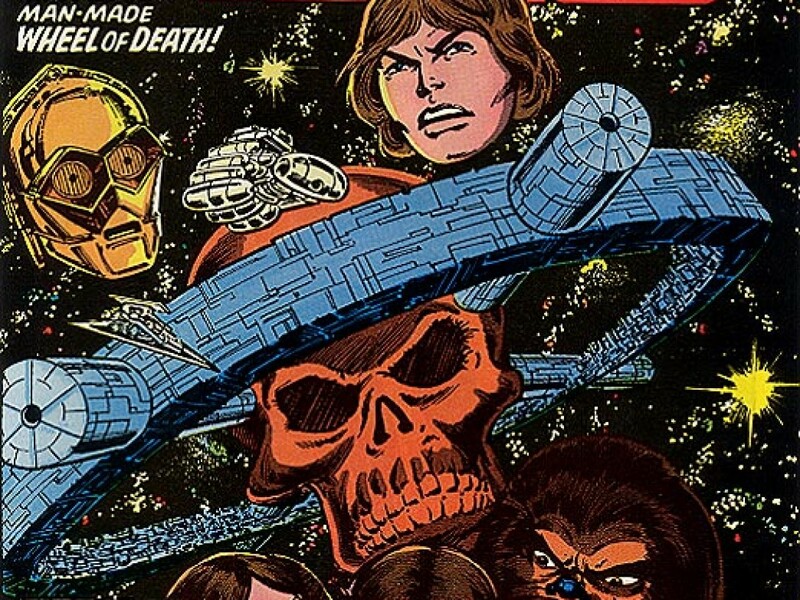 Ultimately, though, this only separated the siblings: Gorc was dragged away to an Imperial laboratory, while Thok was tossed into Prefect Orun Depp’s prisons to rot. But destiny soon intervened. In exchange for information about a Panathan mineral baron, the cybered “Emperor’s Hand” Arden Lyn acquired Thok from the Prophetess. As promised, the Gamorrean was strong in the Force. 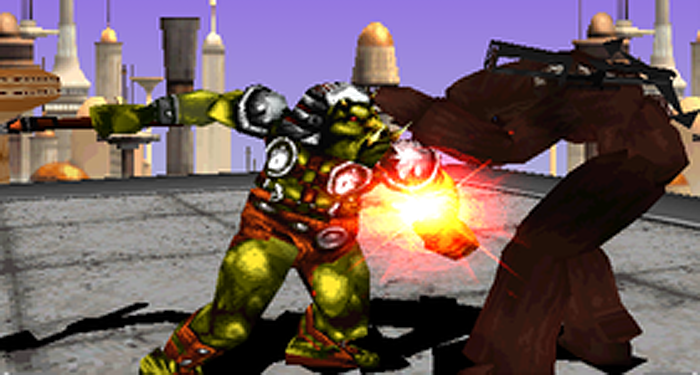 But invoking Gamorrean tradition, Thok told Lyn he’d die before serving someone who couldn’t defeat him in single combat…especially someone who was part droid. The Teräs Käsi master went toe-to-toe with the unorthodox brawler, amazed as Thok literally grew a third in size and fought with ferocious instincts. In the end, only a well-timed wallop from Lyn’s cyborg arm K.O.ed the big bruiser. Lyn was impressed enough with Thok’s Force-enhanced reflexes that she had him join her Teräs Käsi students Hoar, former leader of the Grave Tuskens, and stormtrooper 17786, offspring of the Imperial Force-user Nial Declann. Using the amplifying power of Teräs Käsi, Thok dramatically sharpened his fighting skills in preparation for Lyn’s Imperial mission to terminate the Rebellion’s “Heroes of Yavin”—Luke Skywalker, Princess Leia Organa, Han Solo and Chewbacca the Wookiee— the last of whom became Thok’s greatest nemesis, engaging him in epic broils. In truth, however, Lyn was merely gathering soldiers to overthrow Emperor Palpatine and complete her eons-old agenda to rule the galaxy. 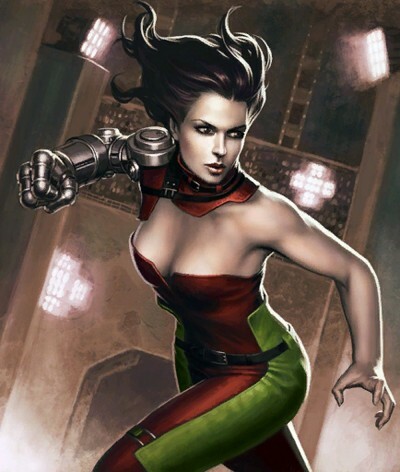 Unfortunately for her, another so-called Emperor’s Hand, Mara Jade, shadowed Arden Lyn, exposing the cyborg’s intended treachery to her master. At this point, Lyn and Thok disappeared. 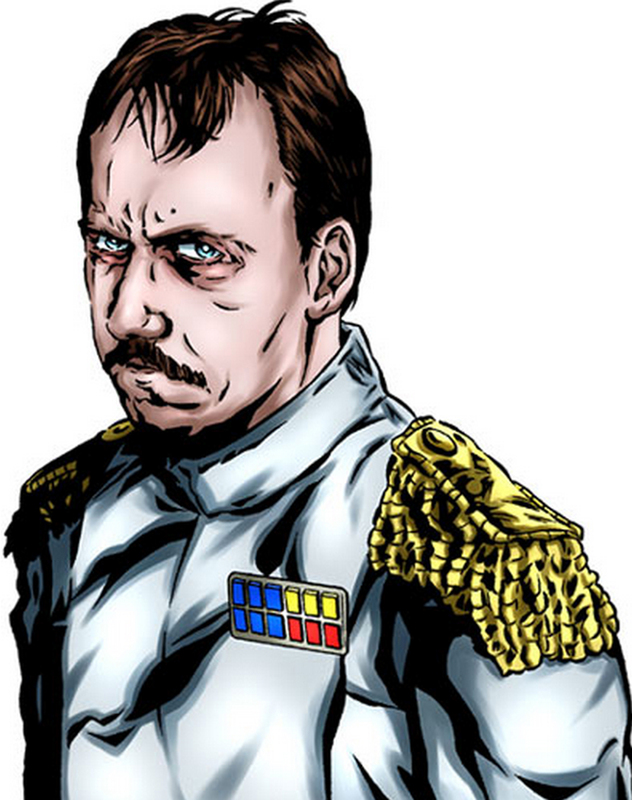 But some months after the Battle of Hoth, the pair reemerged, now in league with the treasonous Imperial Grand Admiral Demetrius Zaarin. Taking a page from the last battle of the Clone Wars, Trooper 17786 helped Thok and Lyn abduct Palpatine aboard the shuttle Haven 3. The coup failed, however, and Lyn subsequently released Thok from service. Mighty Thok now found himself back where he started, minus one brother. With nowhere to go, he turned again to Jabba. After operating as an Imperial agent, a double-agent and a kidnapper of galactic dictators, working at Jabba’s now seemed quite a bore by comparison. The same Gamorrean clique was still here: Ortugg, Thug… and his old clan Skunnt rival from Pzob, Scumbo, who had apparently taken Gorc’s spot. Things didn’t seem like they could get much worse—though Thok did feel some satisfaction upon seeing Chewbacca’s human sidekick frozen in carbonite in Jabba’s throne room. Things quickly heated up, however, when the dancer “Arica” came to the palace, as Thok felt positive he’d seen the woman before…. Then Thok’s nemesis Chewbacca showed up as well—captured by the scrawny bounty hunter Boushh. Thok could hardly believe it. That’s when he realized that the dancer “Arica” was, in fact, the Emperor’s assassin, Mara Jade. He was about to inform Jabba of the Imperial spy in their midst when all hells broke loose: Han Solo was defrosted by “Boushh,” who turned out to be Princess Leia Organa in disguise, and Thok watched agape as Luke Skywalker strode in and killed the rancor. With the Heroes of Yavin and Palpatine’s hitwoman all in one place, he felt sure they were out to get him. Thok’s mind was still reeling as he accompanied the other Gamorreans on Jabba’s sail barge to watch the Rebels get swallowed by the Sarlacc. But when Skywalker suddenly assaulted the barge, cleaning skiff with his glowing lightsaber, Thok’s old instincts kicked in, and he stormed the barge deck, body checking C-3PO as the droid tried to deploy a faulty subroutine in gravik-nez, the ancient Affan art of hand-to-hand combat. Blaster rifle in hand, Thok charged Skywalker alongside the Kadas’sa’Nikto Wooof, hoping to take the Rebel by surprise. But the Jedi’s powers had matured immensely since they’d last met. Thok was about to scorch Skywalker with a faceful of his patented Teräs Käsi-embellished flame belch when his lightsaber-wielding opponent unexpectedly whirled and cut the Gamorrean down. In his dying moments, the hog who dreamed of big things beyond Pzob saw his old nemesis Scumbo standing over him—vibro-axe in hand and a wicked gleam upon his mucous snout. Thok knew he was finished. Yet, instead of cutting Thok down, Scumbo loosed the war squeal of their tribe, bidding his old foe safe passage to that Great Trough in the Stars as the sail barge exploded around them. Clan Skunnt would remember him forever, memorializing mighty Thok with a burping contest on his farrowing-day every year. 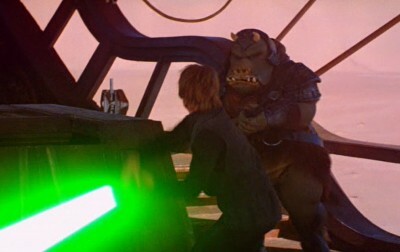 Luke Skywalker cuts down the mighty Gamorrean. Rich Handley is the editor and co-founder of Hasslein Books (hassleinbooks.com), the managing editor of RFID Journal, a frequent contributor to Bleeding Cool Magazine and the author of four reference books (Timeline of the Planet of the Apes, Lexicon of the Planet of the Apes, The Back to the Future Lexicon and The Back to the Future Chronology). He has written numerous articles and short stories for the licensed Star Wars universe over the past two decades, and was a columnist and reporter at Star Trek Communicator magazine for several years. 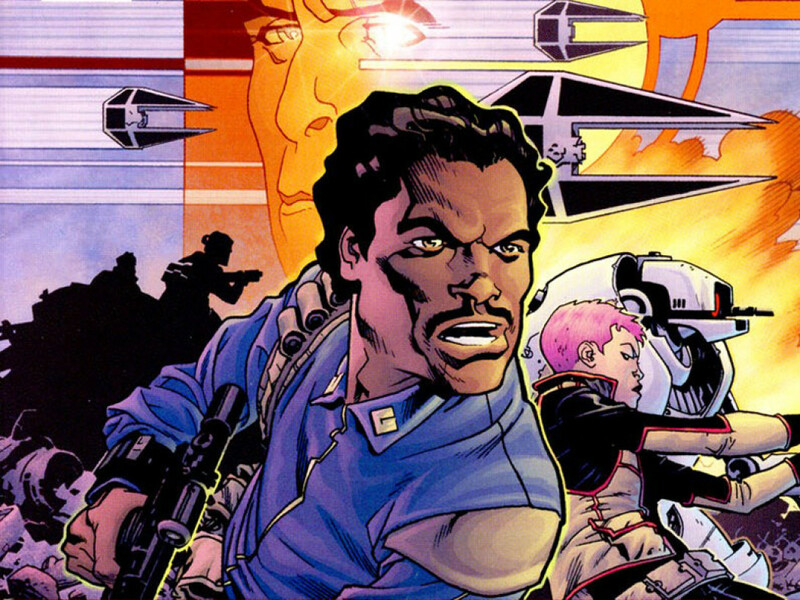 Abel G. Peña is the author of dozens of Star Wars fiction and nonfiction articles for Star Wars Insider, Star Wars Gamer, Star Wars Fact Files and StarWars.com, a co-author of Vader: The Ultimate Guide and Knights of the Old Republic Campaign Guide, and a translator of rare and forgotten Star Wars comics. Abel’s work has also appeared in the anthology Italy From a Backpack, Dungeon/Polyhedron and the Wizards of the Coast official website. Abel can be found at abelgpena.com, Facebook and Twitter. 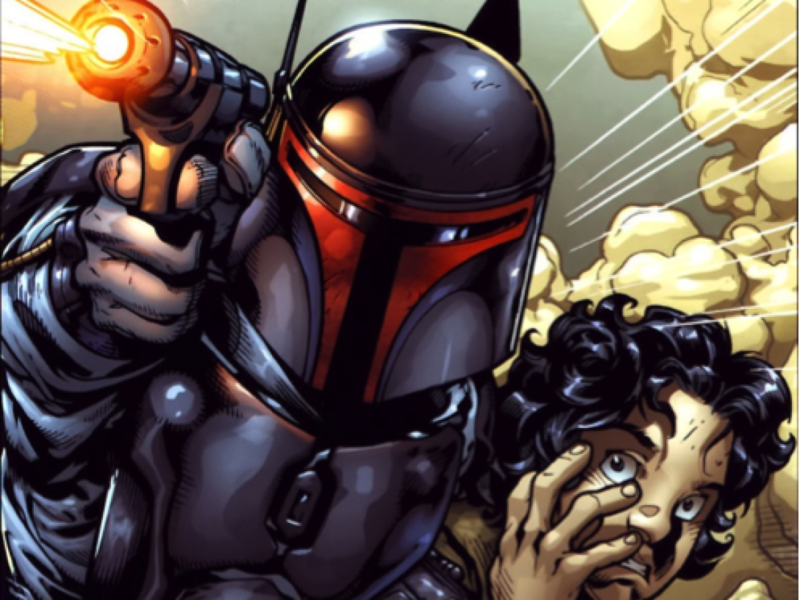 Mandalorian Mysteries: Who Was Jaster Mereel?